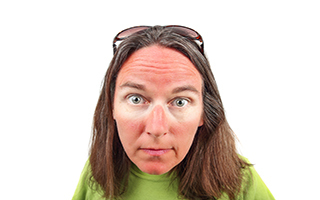 Most sun-protection mechanisms, like clothing, sunglasses, and sunscreen, focus on physically blocking or filtering the sun's harmful UV rays. But did you know that your intelligent skin cells are actually able to provide some level of protection on their own? They do this by recruiting and using antioxidants. New research has found that by supplementing with antioxidants the skin is already taking advantage of, we can help increase our skin's natural protection from UV damage. The skin uses an active antioxidant called Licochalcone A to protect itself, which, it turns out, is also found in the root extract of the Chinese Licorice plant. Researchers decided to investigate whether the plant-based antioxidant could help the skin bolster its defense system. To do this, they isolated human skin cells and irradiated them to imitate sun exposure. They pretreated some of the cells with Licochalcone A. The others didn't receive any extra help. Sure enough, those that received the Licochalcone A pretreatment produced more protective antioxidants. When the researchers measured the levels of dangerous free radicals in the cells, those who had received the pretreatment had far fewer than those left to their own devices. This rich, shiny-smooth formula absorbs deeply to help repair and reduce visible signs of aging. Gentle Olive Oil Emulsifiers help smooth skin and deliver the kind of suppleness that really helps you look young. They then repeated the study with human volunteers. They found that volunteers who applied a Licochalcone-A-rich lotion to their inner forearms for two weeks did not experience skin damage after UV irradiation. While UV filters are great, they don't offer 100% protection. Even the best still let about 2% of rays through. This extract could be a great supplement, as it helps stimulate the skin to defend itself against the UV attacks it does face. It's biological rather than physical protection. The researchers envision this as a potential ingredient in sunscreens. Researcher Gitta Neufang explains, "We hope that our study helps to improve the effectiveness of sunscreens to protect from the harmful aspects of sun exposure." We will be keeping an eye on Chinese Licorice extract as a potential skincare ingredient. In case you were wondering, no, you can't eat licorice candy to experience these benefits — you'll have to apply it topically (and avoid the excess sugar)! Jochen Kühnl, Dennis Roggenkamp, Sandra A. Gehrke, Franz Stäb, Horst Wenck, Ludger Kolbe, Gitta Neufang. Licochalcone A activates Nrf2in vitroand contributes to licorice extract-induced lowered cutaneous oxidative stressin vivo. Experimental Dermatology, 2015; 24 (1): 42 DOI: 10.1111/exd.12588.